What does a kitchen cost? You ultimately decide by the scope of your project, the products you select and the services you like. At the outset of almost every project, the question our design team is always asked is “How much will this cost?”. Seems like a simple question, but there are many variables involved in arriving at a representative budget range for your Kitchen Remodel Project. The simple answer we provide to customers in our area is anywhere from $40,000 to $75,000+ depending on the size of the kitchen, if you are making any structural changes to your home, etc. Every year, the NKBA (The National Kitchen and Bath Association) publishes a Kitchen Planner tool (See image right side) which outlines expected cost ranges for each component making up your kitchen remodel. These numbers are looked at on an annual basis and can help homeowners get an idea of what to budget for each area. The 3 – 4 components making up approximately 70% of your remodel costs include Installation (your contractor) (17%), Appliances (10%), Countertops (10%) and Cabinetry (29%). These ranges can vary depending on your personal tastes and what is important to you and your family as you start down the path of considering a remodel project. See chart below from NKBA Kitchen Planning Tool. Money Magazine recently published an online article referencing this research as well. See link below. Get a detailed, line item estimate from your contractor. Most contractors when providing an initial estimate will make allowances for unknown selections at the time of the initial bid. When you are comparing estimates these allowances most often will make up the pricing differences. Remember, you have control over the final cost of these allowances based on your actual selections. Plan for unknowns. It is prudent to plan on 10% – 20% above your budget for unforeseen things that come up. Hidden construction defects that need to be addressed, that specialty finish, appliance or hardware that you really want, etc. It is ok to go slightly over your budget for something you truly value. You and your family will be enjoying the remodeled space for many years to come and the last thing you want to do is wish you had spent a little bit more to get what you really want. 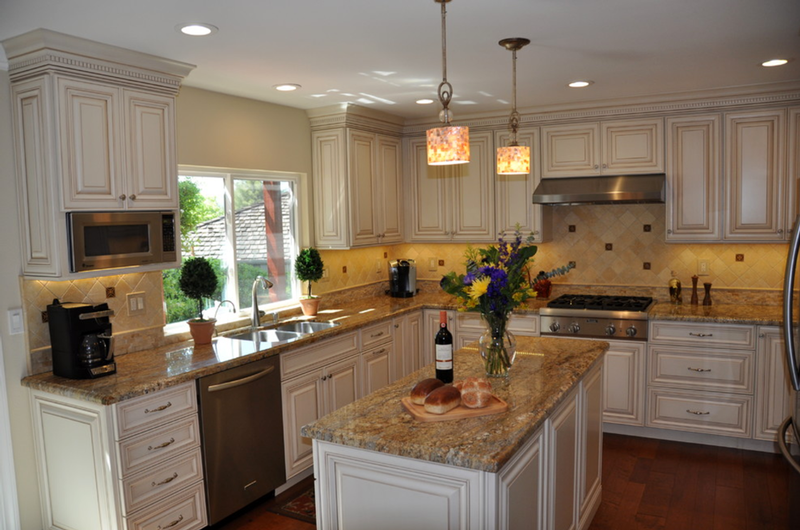 Copyright © 2008-2019 Diablo Valley Cabinetry. All rights reserved. Responsive Web Design by JVF Consulting.